It's getting close to Halloween! One of my preschoolers' favorite books has always been Eric Carle's The Very Hungry Caterpillar. So I created this fun Halloween felt board story. It helps preschoolers practice colors and have fun through a twist of a familiar story. 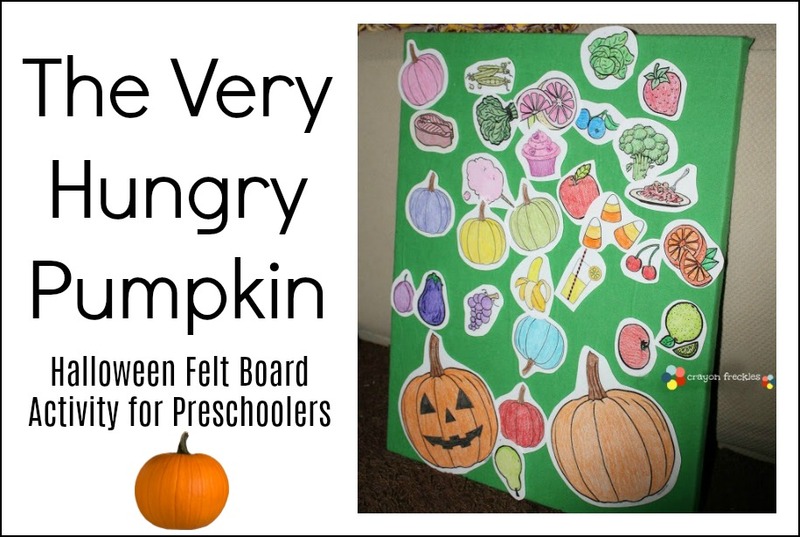 The premise of this interactive felt board story is that a pumpkin goes around eating various foods, which then turn him different colors. The pumpkin gets worried. At the end, he finally eats a food that turns him into something he is comfortable with. I used this at our local library for a Halloween storytime for 20+ children. It was a hit! "He went looking for something to help him feel a little bit better. He nibbled on a few pieces of candy corn. And then he said, "Oh me, oh my! Look at me! I'm a jack-o-lantern, happy as can be!" 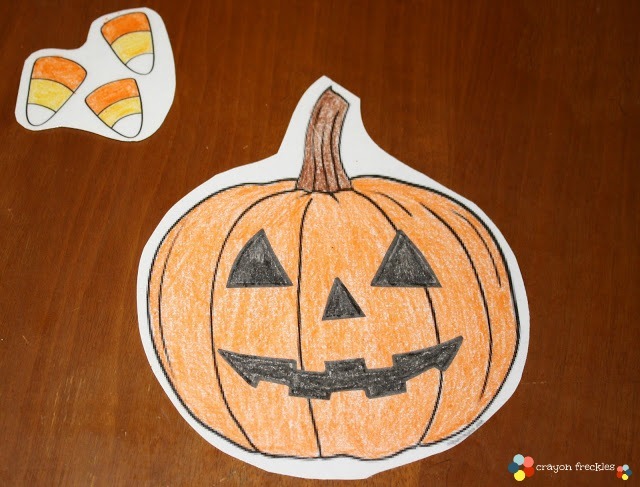 This activity can be used in a one on one activity or with small or large groups. Here are some pictures from when we did the activity. 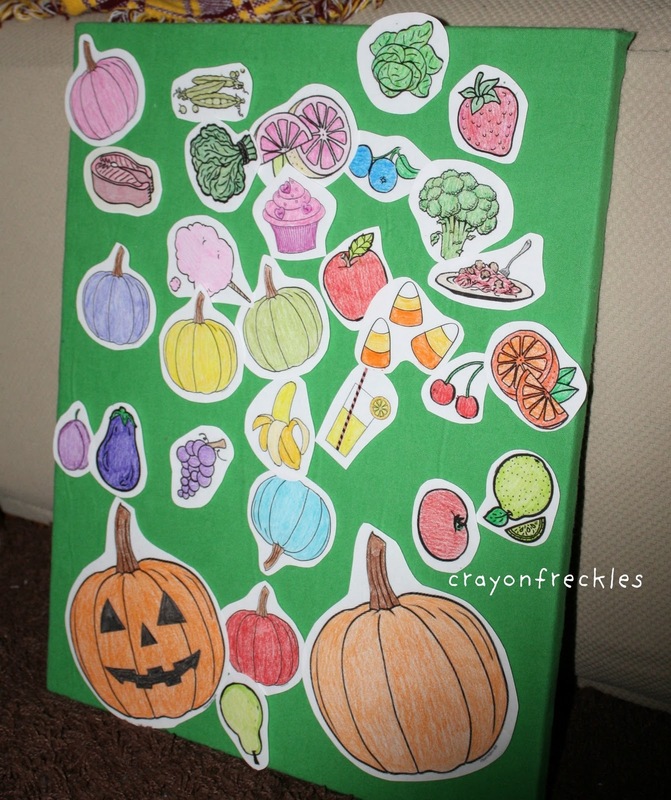 If you love this activity and want to do it again next month, check out the Thanksgiving version. Wow! What a neat and creative idea!!! That's a game with love! 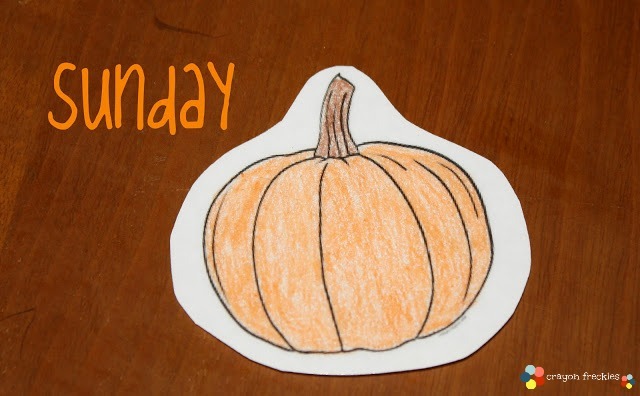 :) Thanks so much for the link-up at the Halloween Blog-Hop! Please feel free to grab a badge in the left column of my blog for linking up here! Thanks, again! Very fun and I love the 2 endings, so you can use it longer. We actually eat pumpkin pie and turkey for Christmas too, so we could use it until New Year's Eve. Cute idea. Thanks for linking to Things I've Done Thursday. This is such a fun idea. I wonder if I'll have time to do it by Monday when I'm hosting a little group of toddlers. I imagine they'd love this. Thanks for sharing on Monday Madness! 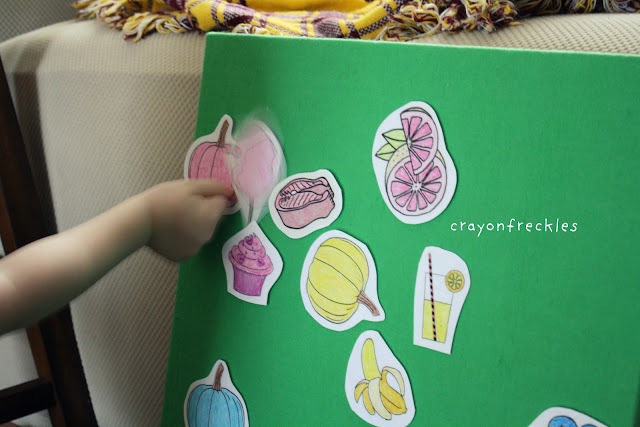 thank you for linking to momstown arts and crafts! I have not done anything with felt boards before. I need to get on that. I love this idea. So fun and great for them to listen to a story and be involved. Just saw this at TGIF Linky Party & love it! Since it is to late to pull this off this year, I am going to bookmark this page to do next year. Thanks for sharing! This is adorable! I also found your site through the TGIF linky party. I am definitely going to do this with my Boogie next year. 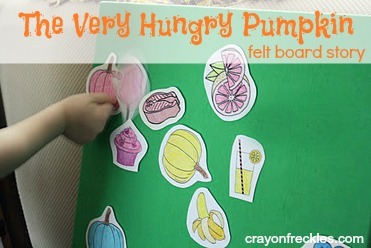 He loves felt board acitvities. I liked this idea so much, I put it on my pinterest board. Hope you had a nice Halloween! That is such a cute story and it is new to me! Thanks for linking up! How are the pics staying on? Velcro? Felt? Sandpaper? this is a must do with my class-love it-thank you -I know why I'm following you- such neat original ideas!